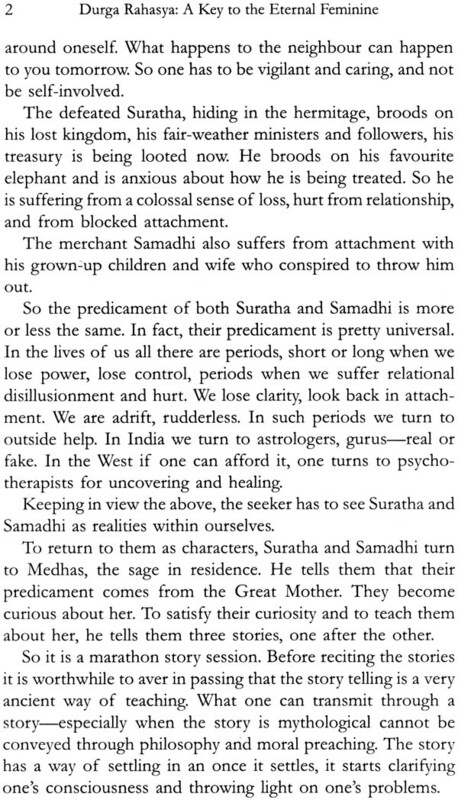 An initiate of the late Swami Venkatesananda, Durga Rahasya builds on the insights vouchsafed by him. It brings out the cosmological, anthropolo- gical and existential meaning of the text via the three tales. The Introduc- tion unravels the stories syntactically together with the lauds in a relaxed semiotic rhythm, supplementing with a commentary cultural and trans- cultural in five brief chapters enabling insights on the Eternal Feminine to the contemporary reader. 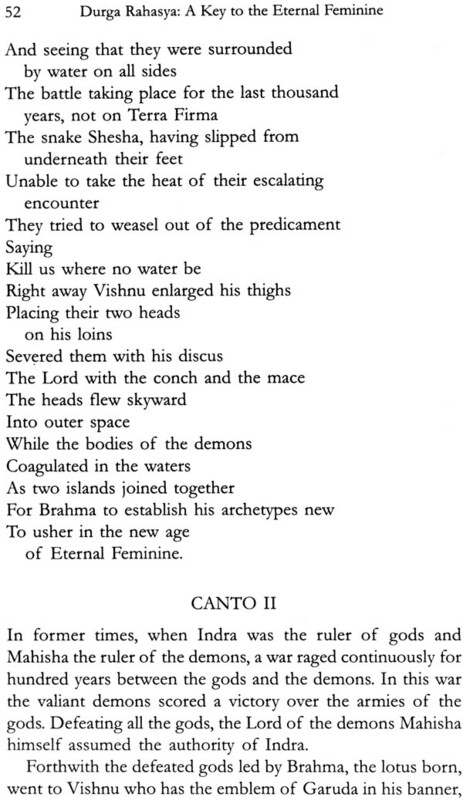 The transcreation in a class by itself done by a poet steeped in Durga symbology as a sabridaya reader rounds off the Durga Rahasya. The book should interest any intelligent reader in addition to indologists and psychologists and the initiates. It is a handmade book, free from needless jargon. It stands apart from any other book on the subject by virtue of its freshness and interdisciplinary rangings. Som Ranchan born in 1932 in Lahore, had education (M.A., Ph.D.) in India and USA was Professor of English in USA and India with a brief stint as editor. 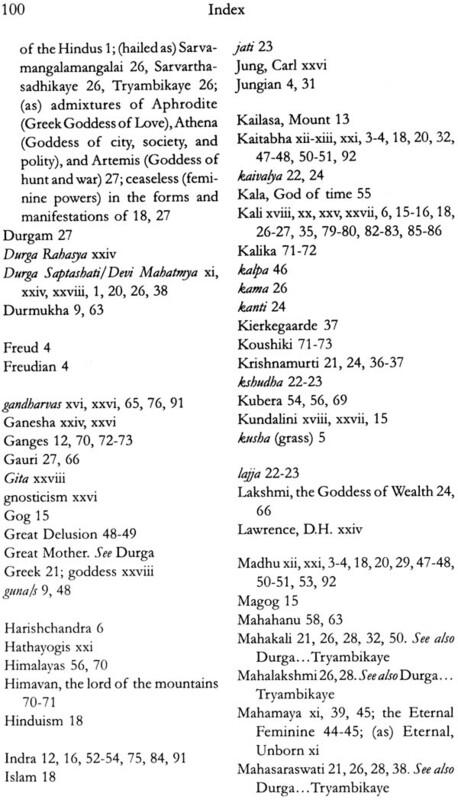 Authored over fifty books: twenty-two of poetry, others in religion, psychology, myth, folklore, ete. 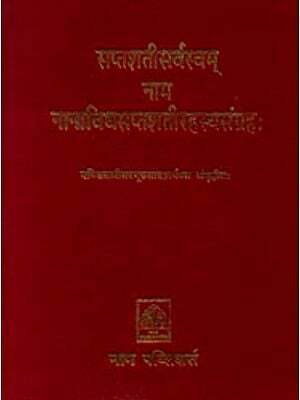 An authority on Sri Aurobirido, Vivekananda. Former Fulbrighter, Hazen Fellow, HRD, Himachal Academy'S Fellow, recently was an lIAS Fellow. Som Ranchan born in 1932 in Lahore, had education (M.A., Ph.D.) in India and USA was Professor of English in USA and India with a brief stint as editor. 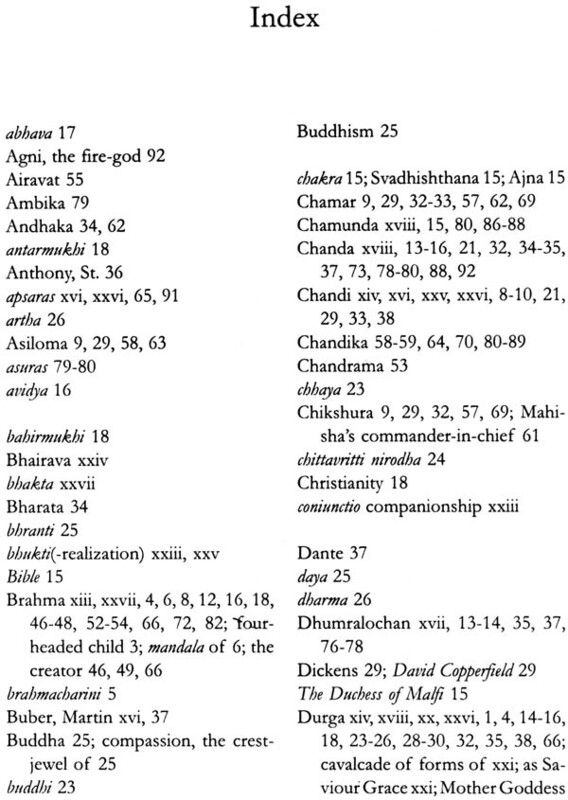 Authored over fifty books: twenty-two of poetry,' others in religion, psychology, myth, folklore, etc. An authority on Sri Aurobindo, Viveka- nanda. Former Fulbrighter, Hazen Fellow, HRD, Himachal Academy's Fellow, recently was an lIAS Fellow. 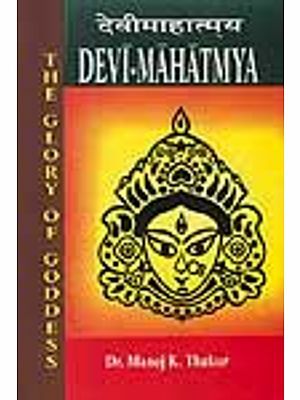 DURGA RAHASYA offers to the reader an interpretation of Durga via the intricate symbolism of the three stories interspersed with lauds and the two characters Suratha and Samadhi involved in the Durga process, recipient of it through sage Medhas. 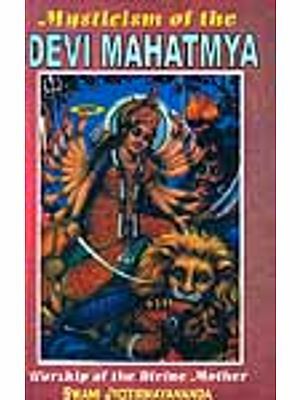 The interpretation given in the Introduction and five brief chapters is followed by an innovative transcreation of the Durga text. Durga Rahasya is a book with a difference. To the best of my knowledge such an interpretation is not available in a sustained way. For this interpretation I am essentially indebted to the late Swami Venkatesananda who at one time belonged to divine life order of Swami Shivananda, but later branched out inde- pendently without breaking his connectivity with the order and with his guru as such. Swami Venkateshananda initiated me into the Durga process and gave me insights into it several times in the course of his peregrinations in USA where I used to meet him. For transcreation I am somewhat indebted at one point to Professor Rama Kant of Punjab University who was Kalidasa Professor of Sanskrit. Grateful acknowledgements are also due to Professor K. N. Awasthi who first typed the transcreation, to Goraksha Paul who prepared the final manuscript under the supervision of Shri P. Sharma, retired Principal of Government College, Dharamsala. The interpretation portion was typed by Shri Ravindra in the Ministry of Official Languages, Delhi. Acknow- ledgements are due to many others, and abroad, too many to invoke with whom I had an opportunity to discuss. Inputs made by them wherever relevant have been incorporated in the interpretation and the transcreation. 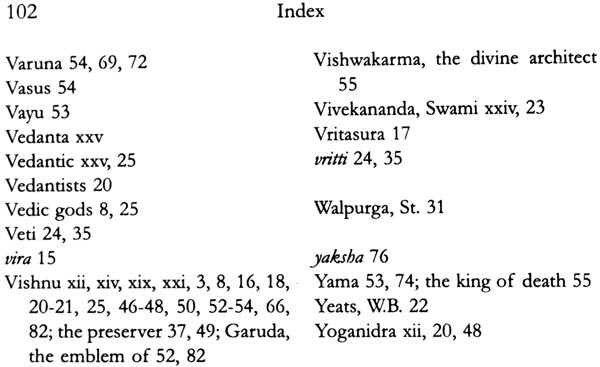 Finally I am beholden to Sonia Sharma for sorting out the Index items and readying it for print. 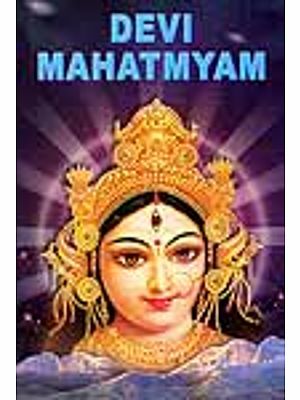 THIS Introduction will give an overview of Durga Saptashati or Devi Mahatmya, but in a summarised syntactic or syntag- matic terms. It gives basic ensembles and their meaning by way of a beginning initiation and entry into the text.
. The first story is told by sage Medhas to two losers, one has lost a kingdom through no fault, another has lost his business and family. Though in the hermitage where supposedly they will turn to nivritti and detachment, both of them are experi- encing excruciating pangs of attachment. They approach the sage for him to resolve their unbearable predicament. Instead of dealing with them the rapeutically, the sage introduces them to my tho-cosmological ontological reality called Mahamaya who ties the noose of attachment around our necks for the world to sustain and go on. 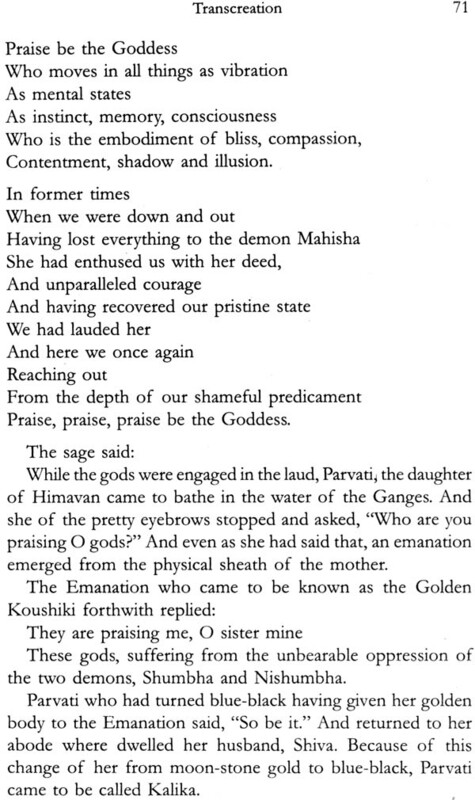 To their bamboozled query regarding Mahamaya's identity, her nature, her active essence, how she came into being, the sage replies that she is Eternal, Unborn, but she bodies forth to accomplish the tasks of the gods. After this cryptic philoso- phical statement, he launches headlong into a cosmological story which has become an integral part of Hindu discourse. 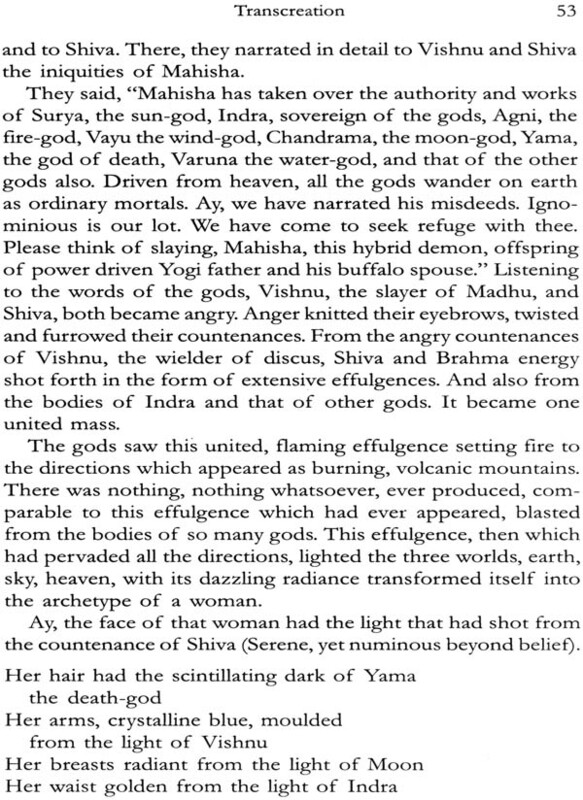 Every Hindu knows the story, if not fully, quite a bit of it, as it has passed into his lore and everyday life. Since the story proper is explicated in chap. 1, here in this overview certain points shall be specially noted in the cultural discourse. When the child Brahma enthroned on the lotus rising from Vishnu's navel realises the menace of the advancing demons, Madhu and Kaitabha, he immediately goes into laud of Yoganidra who has enspelled Vishnu in deep ouroboric sleep. Hailing her Sovereign Mistress of the universe, embodier, nourisher, succourer and also destroyer, the laud becomes culture-specific in its metonymy. 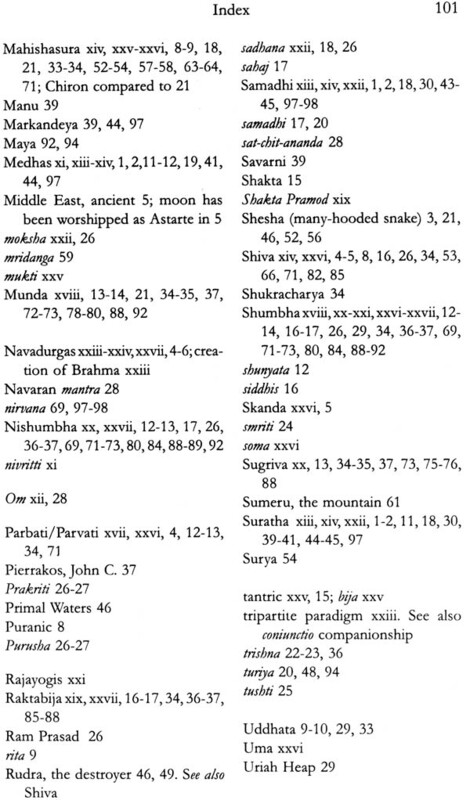 She is Svaha, Svadha, Vashatkar, Nada, life-force enhancer drink, the letters (a, u, m) in Om- the laud goes on from verses 70 to 77, the laud is a cultural parole, the great mother is invoked in terms of her sovereign functions, the invocation catalogues other goddesses such as Sandhya, Savitri, as none but her, she is the great night, the night of time, the night of infatuation. So on and so forth. 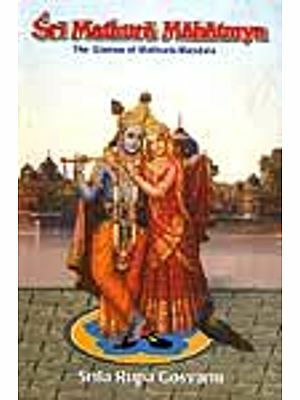 The laud concludes with a specific demand that Yoganidra should release Vishnu from her shackles and when she leaves and appears before Brahma in transfiguration, she is requested to infatuate the demons, Madhu and Kaitabha, with pride. Furthermore, she should awaken and rouse intelligence in Vishnu to kill them. 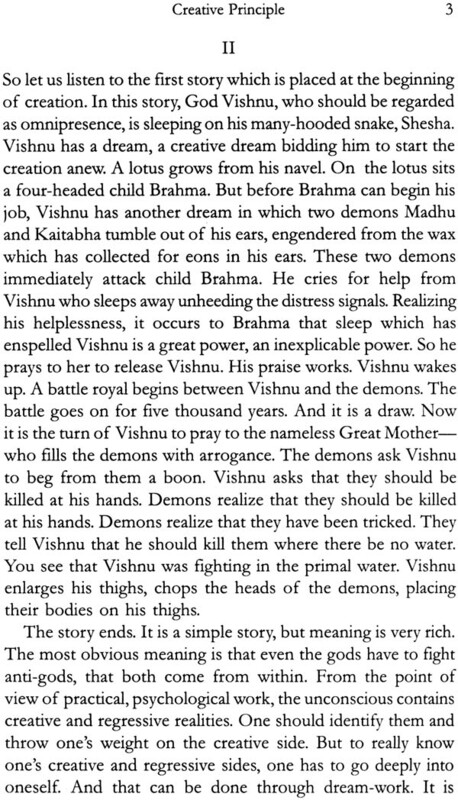 And this is what precisely happens-the death of the demons, victory of Vishnu. The parole is rich and dense with theocrasy. Only the initiates can fully relate to it, to the collocation of piled metonymies, though the laity relates pragmatically to the evocation of a power, both awesome and beauteous, the outsiders can relate to it by dismantaling the text and transposing the Magna Mater's reality into their cultural discourse in their own way. What is worth underscoring commonsensically is that in a no-win situation rationally, one should turn to the cosmological for help, not for resignation and reconciliation to one's lot, but for existential mediation. Normally one throws in the towel suicidally. In life the existential and the cosmological stay, if not separate altogether, subjunctive. But in this mythologem the two are welded and cohered. 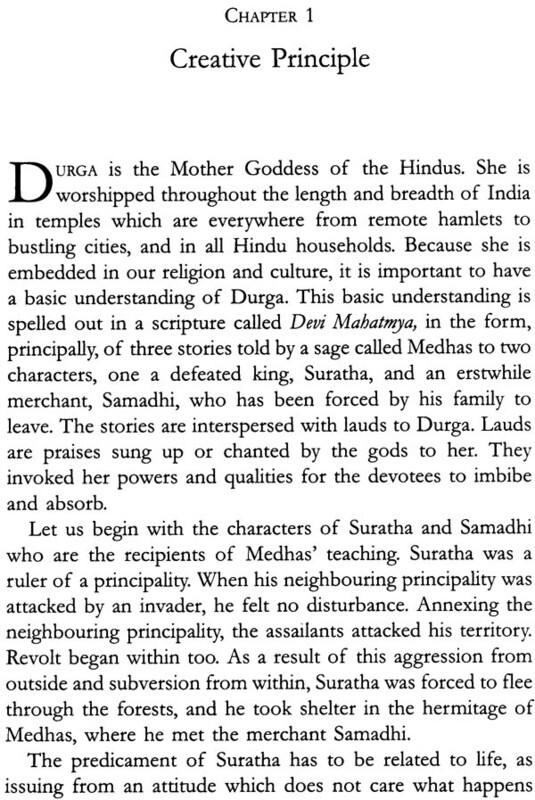 As the Durga story progresses, we come to know that not only does Suratha recover his kingdom, but is deified as Suvarini, as an eidolon, as a model to look up to, as a frame of reference to draw inspiration from. Though in an all too brief interpretation in chap. 1, the first tale has been dealt with as a whole, highlighting the symbolism, its study in terms of syntactic units is called for which is being done in these pages. (b) Suratha's shrinkage and reduction to his capital only. (c) Conspiracy by his ministers and friends who appropriate the treasury and his army forcing him to flee. 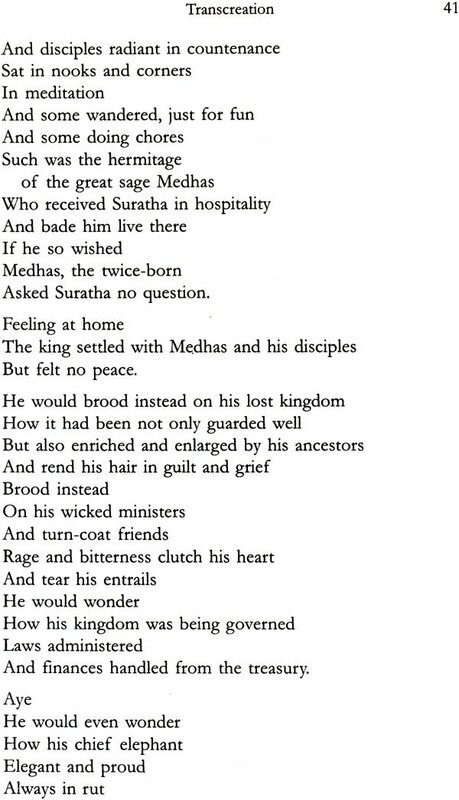 (d) His coming to Medha's hermitage and running into Samadhi, another loser. (e) Their coming together because of a shared predicament. In fact, one can say safely that their shared predicament has resulted from their overgoodness. 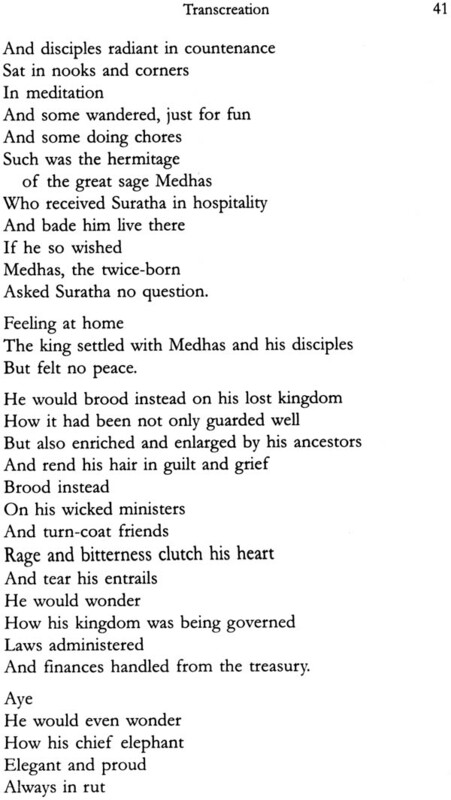 King Suratha was too caring, an indulgently caring king. Samadhi is too much in the family. In the story's language, they could be compared to those who see in the day, not in the night, though a wise man sees both during day and night. (d) Then telling them through the story, how they can go beyond it through prayer, righteous action in the wake of vigilance. The purpose in unfolding the first tale syntactically is to enable the reader to enter into it purposefully. He should not intimidate himself with the fact that the characters are Vishnu, Brahma and the puissant demons Madhu and Kaitabha. He has to interact via the tale with the components of his own personality as shown in the narrative of his life. The reader is dispersed in all the characters. Insofaras he is helpless, he is like Suratha and Samadhi. 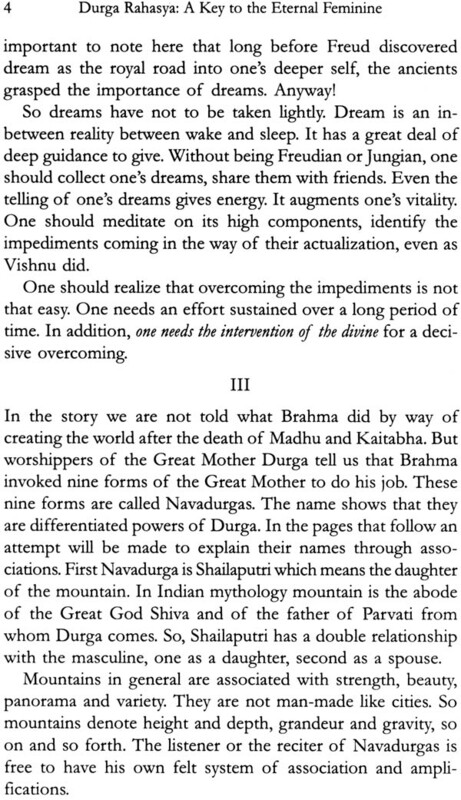 But he has to awaken All-Conscious- ness (Vishnu) through his Creative Intellect (Brahma). As an embodiment of creative intellect, he has to use a multi-pronged approach through prayer, frenzied lauding, and also be specific in his beseeching to the magma (the Magna Mater in this case). In tantra there is no room for half-hearted prayers followed by vague, faint demands. Tantra does not accept the disjunction between the existential, the cosmic, and the transcendent, the micro, macro and the ineffable Beyond. 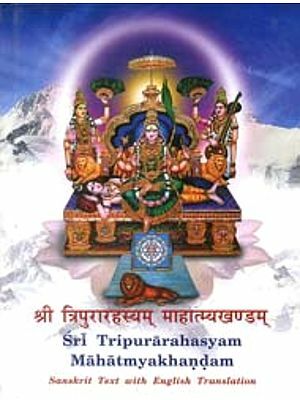 In the tale even the adversity is celebratory because it makes a painful cut in the complacent consciousness through which to go out and contact both the overhead and supraconsciousness to heal and rein- vigorate oneself for embarking on a greater endeavour and an epic journey as emblematised in the icon characters, Suratha and Samadhi.